Is it time for a new pair of glasses, or are you having trouble hearing? Maybe you just want to get active and fit, or are looking for ways to save on your favorite healthcare and beauty products, as well as prescription and pharmacy services. Most local municipal, state or provincial, and federal government programs may have health care plans or programs designed with older adults in mind. Provincial, state, or city-run recreation and fitness centers, pools and aquatic centers, will often have discounted membership or class fees for seniors. Many local or regional universities, community colleges, YWCA's, and YMCA's offer discounted seniors and / or senior couple memberships, and offer fitness & health and wellness programs and classes designed with seniors in mind, such as Aquafit, healthy eating, etc. SilverSneakers® and Silver&Fit® programs are offered in the U.S. to medicare-eligible and group retiree members of participating health plans, at specific locations. In some plans, it’s offered at little or no additional cost. 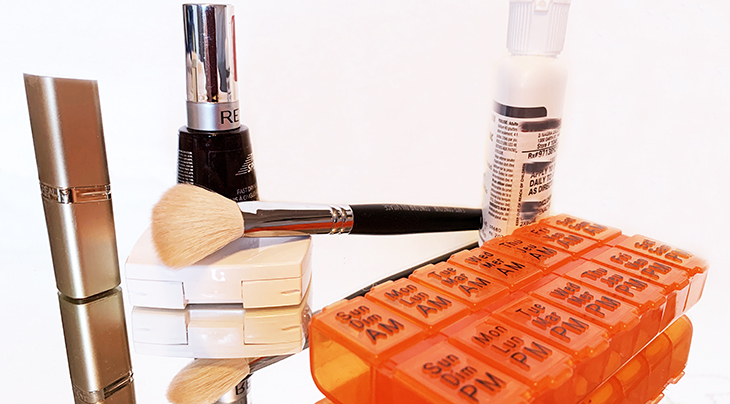 These health and beauty product and services providers (including drugstores and pharmacies) in Canada and the USA, offer seniors discounts or special days of savings for adults as young as age 50+. Seniors and 50+ discounts and special offers are subject to change without notice by individual retailers, and may vary by location, time of day, day of the week, etc., or may only apply on select items. Check with a specific provider to confirm current discounts, special offers and age or other eligibility requirements at time of purchase. This is not a complete list of all service providers or retailers that offer health & beauty discounts. Other companies and individual franchises or business owners may establish their own offers. Always ask if there is a special offer for seniors or 50+ before you buy. Inquire about the best available price and compare other available discount offers before purchasing, as an advertised seniors rate may not be the best option for you. 65+ years of age are eligible to receive a 20% discount on all regularly priced in-stock items before tax, as well as a 10% savings on regularly priced special order items, at A2Z Mobility Home Health Care. A2Z Mobility Home Health Care rents and/or sells a range of products, from mobility devices like wheelchairs, bathroom safety devices, and more. CARP Members save with a 10% discount off all orders PLUS FREE shipping on all orders over $50, and more and AgeComfort.com. AgeComfort.com sells home health care products for seniors, babyboomers, and caregivers. CARP Members save with a 25% discount on home healthcare products PLUS free shipping Canada wide on all orders over $75 at BiosMedical.com. BiosMedical sells over 3000 health care items that provide diagnostics, aids to daily living, mobility aids, products for dementia, patient safety aids, and exercise therapy items. Seniors (no age specified) are eligible to save with a 10% discount off over-the-counter items on Senior's Discount Day at Brant Arts IDA Dispensary in Burlington, Ontario. Brant Arts is a traditional pharmacy that fills prescriptions and sells health and beauty products. 60+ years of age are eligible to save 10% discount off all general merchandise on Seniors' Day (1st Tuesday of every month) at Cambrian Pharmacy in Calgary, Alberta. Cambrian Pharmacy blends conventional medicine with natural alternative to offer traditional pharmaceutical services (filling prescriptions, etc. ), homeopathic remedies, and more. CARP Members save with a 10% discount on monthly service and FREE CARP Membership for 2 years at Caretrak Mobile Personal Emergency Response. Caretrak sells a wearable medical alert pendant with GPS that works inside or outside your home, Canada-wide. With one click you are connected to your care contact and your address is automatically tracked, with text/email alerts sent to all of your contacts. 65+ years of age are eligible to save with a 20% discount on regular priced merchandise on Senior Savings Day (1st Wednesday of every month) at Centrepointe Gabriel Drugs in Ottawa, Ontario. Centrepointe Gabriel Drugs is a family-owned pharmacy. CARP Members save with a 25% discount off each bottle of cold-Q ordered online. Cold-Q is a natural oral spray that helps your immune system fight off cold and flu viral attacks. 65+ years of age are eligible to save 30% with a Seniors Discount on the 5th, 15th, and 25th of each month (subject to appointment availability) for all basic dental services (exams, dental Xrays, teeth cleaning, fillings, and more), and 10% off Major Services (crowns and veneers, bridgework, dentures) at Dentist on Dundas. Dentist on Dundas is located in Toronto, Ontario. 60+ years of age are eligible to receive a 15% discount on Seniors Day (last Wednesday of every month) at Donex Pharmacy & Department Store at 100 Mile House, British Columbia. Pharmacy, home health care, cosmetics, giftware, hunting and fishing supplies, luggage and travel accessories, and a Canada Post Office can be found in the Donex Pharmacy and Department Store. 55+ years of age are eligible to save with a 15% discount on regularly priced items on Senior Citizens Day (last Wednesday and sometimes Thursday, of every month) at Guardian Dartmouth Gate in Dartmouth, Nova Scotia. Weight loss and other products, prescription refills etc. are provided at Guardian Dartmouth Gate Pharmacy. 65+ are eligible to receive an additional 10% seniors discount over and above any current advertised special AND a FREE eye exam at Hakim Optical stores. Hakim Optical stores in Canada sell prescription and non-prescription eyeglasses, sunglasses, contact lenses, safety glasses, and offers eye exams. Seniors (age not specified) are eligible to save 25% with a Seniors Discount on the last Wednesday of every month at Healthgear Medical & Safety Inc. Products sold online at Healthgear Medical & Safety Inc. include bathroom safety devices, incontinence products, health supports, and more. CARP Members save with a 10% discount off the regular price or limited-time promotional price of select hearing aids AND earn up to 1,000 AIR MILES® reward miles at HearingLife. HearingLife centres in Canada offer hearing loss testing services and sells hearing aids and associated products. CARP Members save with a 5% discount on all services (to a maximum of $100 hours), PLUS FREE in home consultation with Home Instead Senior Care. Home Instead Senior Care provides individualized in-home care services to elderly and/or disabled persons, to help them age in place and comfort in their own home. 65+ years of age are eligible to save with a 15% discount off regularly priced items on Seniors Day (every Thursday) at Howe Sound Pharmacy in Gibson, British Columbia. Howe Sound Pharmacy offers pharmacist services, prescription refills, and other traditional drugstore and grocery items. $150 savings on any complete pair (frames + lenses) of prescription glasses/sunglasses where the lenses are valued at $250+. $50 savings on an annual supply of contact lenses from IRIS. $50 savings on non-prescription sunglasses valued at $100+. $25 savings on 3 or more bottles of Eye Omega Benefits 240 Gel Cap purchased at IRIS. Seniors (no age specified but must show ID) are eligible for a discounted Senior Membership at Iron Fitness Strength Club in Markham Stouffville, Ontario. Iron Fitness Strength Club is a 24 hour fitness club that focuses on functional and strength training, and cardiovascular health, with weights and equipment. Weightlifting, powerlifting, and other workshops are offered to members. 60+ years of age are eligible for a discounted Senior Fitness membership at Kingswood Resort in Hanwell, New Brunswick. Kingswood Fitness membership includes group fitness classes, use of all cardio and weight-training equipment, complimentary towel service, and more. CARP Members save with up to a 22% discount on PresbyVision™ procedures for both eyes (cannot do one eye only); up to a maximum savings of $550/eye at Lasik MD. Lasik MD's optometrists and surgeons provide laser technology vision correction procedures and services. 55+ years of age are eligible to save with a 20% discount off on products and more on Appreciation Day (usually every Wednesday) at Lawtons drugstores. Lawtons Pharmacy provides prescription refills and other pharmacy products and services, as well as home health care, mobility, and other specialty products. Many Lawton Drugs stores are located beside or near walk-in clinic. 55+ years of age are eligible to save 20% off on pharmacy purchases with a Seniors Discount on Wednesdays at Medical Arts Pharmacy in Cornwall, Ontario. In addition to traditional drugstore services and products, Medical Arts Pharmacy offers pharmacist house calls or home visits, to those with mobility problems. Seniors (no age specified) are eligible for a 10% Special Discount for Seniors at MyHealthCare Pharmacy in Calgary, Alberta. MyHealthCare Pharmacy provides travel & flu vaccinations and immunization, traditional pharmacy compounding services, prescription refills, and offers free city wide delivery of medications. 65+ years of age are eligible to save 20% off all non-prescription medication and merchandise in store on Seniors Discount Day at Northway Pharmacy Charleswood in Winnipeg, Manitoba. In addition to traditional drugstore services and products, Northway Pharmacy offers pharmacist house calls or home visits, to those with mobility problems, and city-wide prescription pick-up and delivery within the city limits of Winnipeg. Daily Seniors Discounts - Seniors age 65+* save 10% on regular priced merchandise everyday a Pharmaprix drugstores in Canada. PLUS Senior's Day (Thursdays) - Seniors age 65+ save 20% off regular priced merchandise. PLUS Super Senior Days (Specific Thursdays**) - In addition to the 20% discount, earn a bonus 10,000 Optimum points or a $10 Pharmaprix Voucher, when you spend $50 or more. Seniors (no age specified) are eligible to save with a 15% discount of most regular priced items on Seniors Day (1st Wednesday of every month) at Qualicum Beach Pharmasave in British Columbia. In addition to traditional pharmacy products and services, Qualicum Beach Pharmasave has a photo lab, mobility equipment rentals, and free prescription delivery. Seniors Day (Tuesdays) - Seniors age 65+ save with a 20% discount on regular priced merchandise at Rexall or Rexall Pharma Plus drugstores in Canada. CARP Members save with a 20% discount off regular priced Rexall exclusive brands every day. 65+ years of age are eligible to save with a 10% Senior Discount on over-the-counter products every day at Revolution Pharmacy in Kelowna, British Columbia. Revolution Pharmacy offers medication reviews, EASY-OPEN blister packs, and free delivery, among other products and services. 65+ years of age are eligible to save 20% with a PC Optimum card discount on regular priced merchandise on Senior's Day (Thursdays) at Shoppers Drug Marts in Canada. PLUS Super Senior Days (Specific Thursdays**) - In addition to the 20% Senior's Day discount, earn a bonus 10,000 Optimum points or a $10 Shoppers Drug Mart Voucher, when you spend $50 or more. CARP Members save with a 15% discount off SierraSil products online. SierraSil sells natural joint relief products. CARP Members save with a $500 discount off a new Stannah Stairlift in Canada. Stannah Stairlift offers a range of home stairlift solutions for inside or outside your home. 60+ years of age are eligible to save with a Senior Membership discounted rate on monthly or yearly membership fees at Strides Health & Fitness in Elmsdale, Nova Scotia. Strides Health & Fitness offers cardio and weight equipment, group classes in yoga, cardio, stretch & joint mobility, and more. CARP Members save with a $40 discount on high quality Nordic Walking Poles in Canada. Urban Poling sells a range of Nordic Walking Poles, a low-impact age-friendly sport / exercise used as a therapy and fitness tool for older adults, and others. Seniors (age not specified) received an additional 10% off regular priced supplements and health & beauty products on Customer Appreciation Days (usually the last Friday of each month) at Vita Health Fresh Market stores in Winnipeg, Manitoba. Vita Health Fresh Market is a health food store chain in Manitoba that sells grocery foods, beauty products, and healthcare vitamins, supplements, etc. *AARP members and their dependents can access hearing information, tools and solutions, including a yearly FREE, independent phone-administered hearing test (The National Hearing Test). AARP Members receive a 20% discount off retail pricing and an additional $200 discount off a pair of hearing aids. Includes: Hearing screening, unlimited custom hearing aid fittings, risk-free 90-day trial, 1-year extended follow up care, 3-year warranty, free 3-years supply of batteries. Glasses.com - save 25% on orders of $200, free basic lenses or 25% off on lens upgrades, free shipping and returns, AND free frame adjustments at Lenscrafters. LensCrafters - save 30% on a complete pair of eyeglasses, an extra 10% off Transitions® lenses with a frame purchase. Sears Optical - save $10 off a complete pair of eyeglasses or sunglasses. Target Optical - save $10 off a complete pair of eyeglasses or sunglasses. 55+ years of age are eligible for the Dental Care Advantage Senior Program which discounts dental, vision, chiropractic and hearing care for members age 55+, at American Family Dentistry. The Dental Care Advantage Senior Discount Program provides discounts on dentures, dental implants, root canals, and more. Seniors (age not specified) are eligible to save with a discounted senior membership at The Atlantic Club. The Atlantic Club also offers other benefits with their Active Aging nutrition and wellness educational opportunities, Golden Aces Tennis program for people age 55+, and more. AARP Members save with a 10% discount on In-Home Smart Technology System monthly fees AND get free installation with Best Buy Assured Living. 65+ years of age may be eligible for a FREE or reduced cost eye exam and up to one year of followup care for any condition diagnosed during the initial exam, for the physician services in their Seniors Program. EyeCare America also has a Glaucoma Program for FREE eye exam for those who are eligible and uninsured (you do not have to be 65 years of age). See website for full eligibility requirements / restrictions for both programs. AARP Members save with a 10% discount on monthly membership in the flip50™ program (exercise, nutrition, rest, & recovery) and access to over 10K fitness locations and 17K rest and relaxation centers. AARP Members save with a discount on registration fees at Getaway 5K/10K Races.Getaway 5k/10kRace programs are officially timed races for first-time or seasoned runners, toddlers to the 50+. AARP Members save with a 15% discount on a variety of products and accessories at HearUSA Hearing Shop stores in America. HearUSA Hearing Shop stores sell hearing aid batteries and supplies, assisstive listening devices and sound amplifiers, amplified telephones, television listening sets, clocks, smoke alarms, and more. 65+ are eligible to save with a 5% discount on health / fitness club memberships with In-Health fitness senior membership options. In-Health fitness and health clubs offer Senior Fitness and SilverSneakers® programs. Medicare patients are eligible to receive FREE delivery to their home or office, and automatic prescription refill service on the same day of each month, with Owens Healthcare in California. Owens Healthcare offers traditional pharmacy services in northern California, and free pharmacy delivery to home, work, or by mail. 65+ years of age are eligible to enroll in the wellness65+ benefits program and save with a 20% discount off non-prescription purchases on the 1st Wednesday of the month, at at Rite Aid Pharmacy stores in the USA. Select Rite Aid Pharmacy stores have walk-in RediClinic physician services. 55+ years of age are eligible for membership in The Valley Health System Senior Advantage Health and Wellness Program for the 55+ Community in Las Vegas, Nevada area. Senior Advantage is NOT an insurance Plan. Benefits for Senior Advantage members includes possible waiver of Medicare Part A during an inpatient stay, educational and wellness classes, and discounts at local healthcare providers of up to 25% (depending on local provider) for services such as dental care, fitness classes or fitness center memberships, hearing consultation and hearing aid purchases, eye glasses, in-home care or concierge services, home cleaning services, and more.